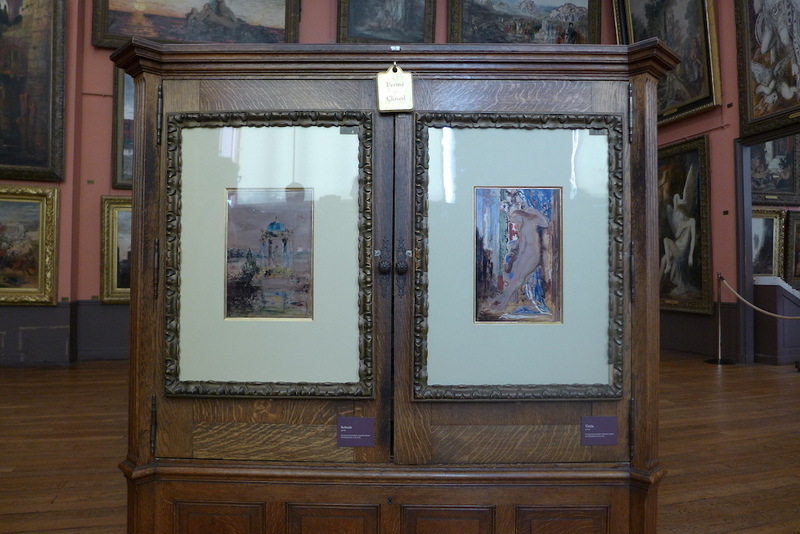 Gustave Moreau: a Unique Museum in Paris! 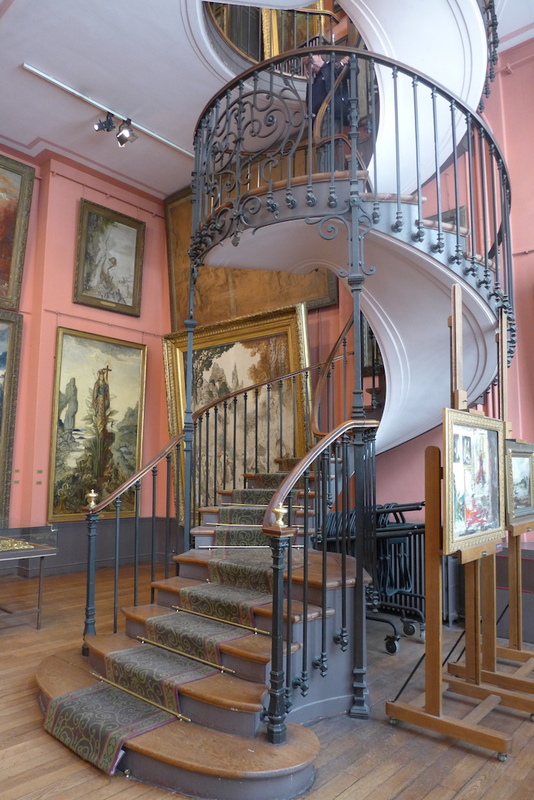 The Gustave Moreau Museum reopened last January after one year of renovation. 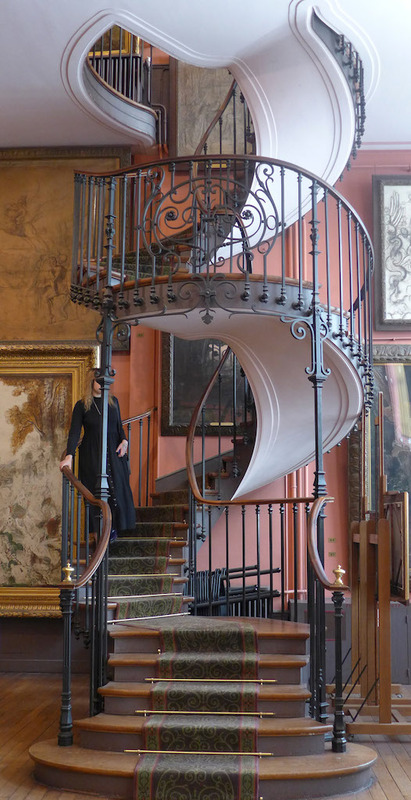 It is really a unique museum in Paris as it is the house of the artist converted into a museum by the artist himself. It has an amazing charm, the charm of the ‘Belle Epoque’. When you visit such a museum you can really imagine how the painter and his family used to live. 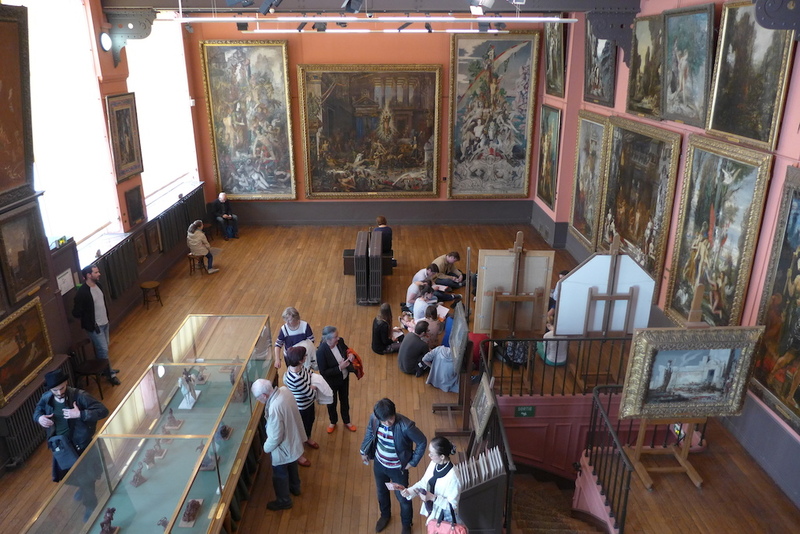 But the most impressive is the great number of works exhibited in the house: Can you believe that there are 25,000 paintings in the whole house? And that among them 15,000 were made by Gustave Moreau (1826-1898) himself? Let’s discover them while visiting the four-storey house. 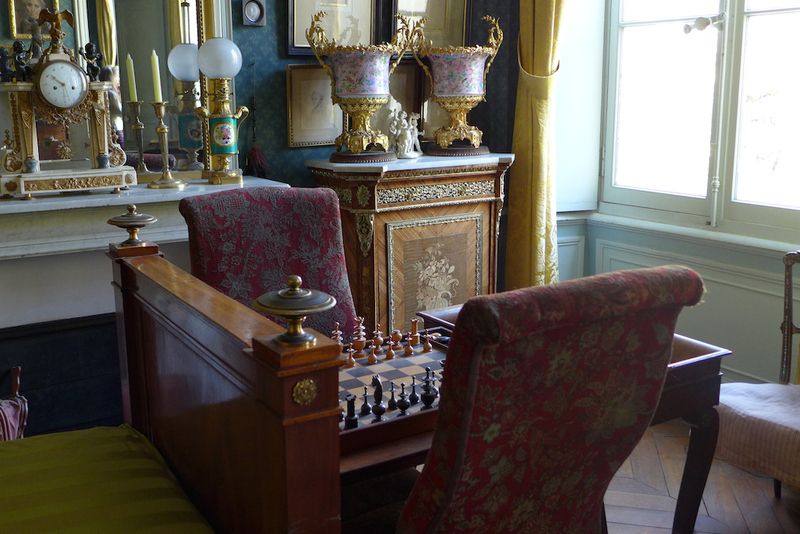 The grounfloor of the house used to be occupied by Henri Rupp, pupil, friend and sole legatee of Gustave Moreau. It was converted into six exhibition rooms (from A to F) whose atmosphere is a little stifling. 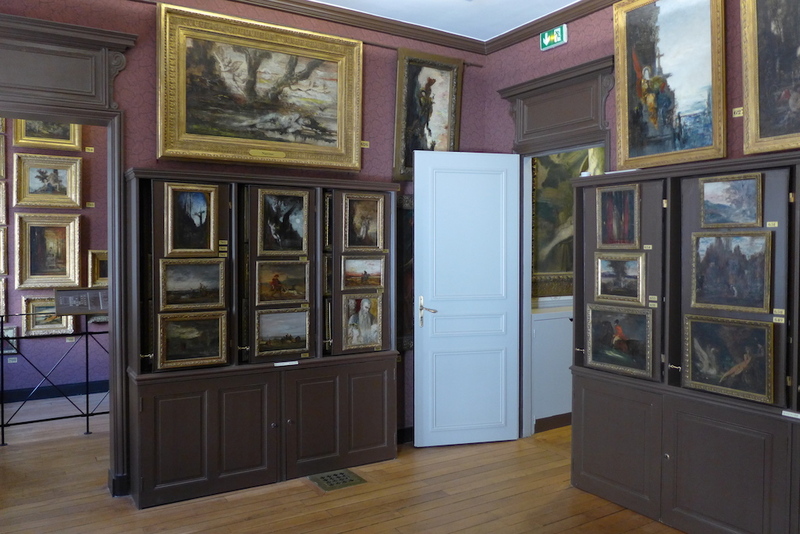 Indeed the rooms are all tiny, the walls burgundy and purple, and a lot of small paintings are displayed on the walls one above the other or on large wooden panels built by the artist. The works’ layout has remained exactly the same as the one chosen by Gustave Moreau. Only the rooms located at the back of the house and giving onto the garden are a little more airy. A staircase with yellow ochre painted walls leads to the apartment where the Moreau family used to live on the first floor of the house. When entering the apartment one has the impression to go back to the old days. 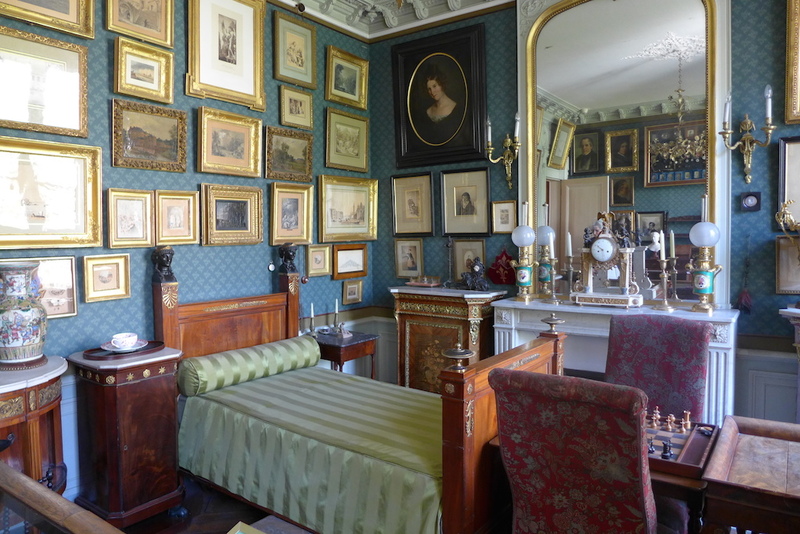 The two most amazing rooms are the bedroom and the boudoir located next to it. 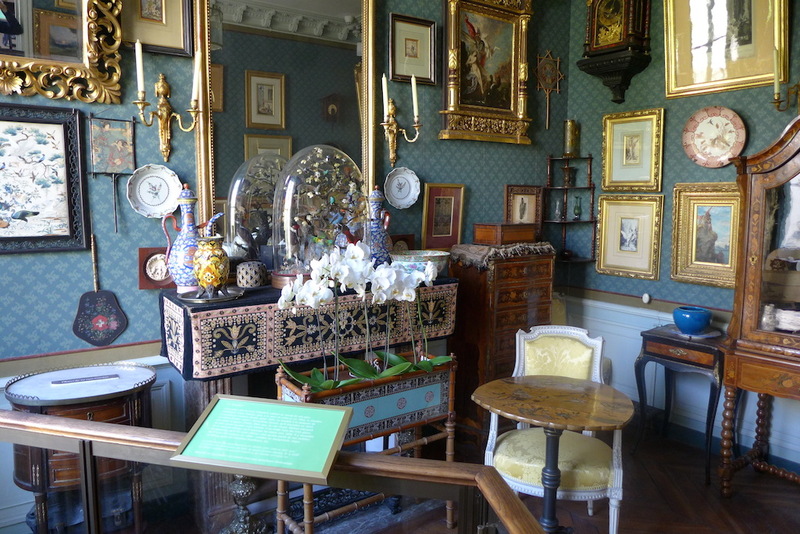 Everywhere a lot of paintings, personal items and style pieces of furniture are exhibited exactly the way Gustave Moreau arranged them and wanted them to be shown. Let’s keep climbing. Another staircase leads to the upper floors of the house… And there the atmosphere changes radically! One has arrived in bright studios with high ceilings and floor-to-ceiling windows. 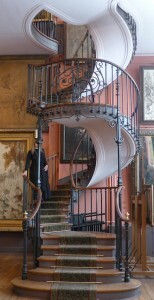 The second floor of the painter’s workshops can be reached by a magnificent spiral staircase located in the main studio. The contrast with the lower floors of the house is really striking: I’ve loved that feeling of initiatory journey, as if one must rise so as to reach at last the ‘real’ museum where the masterpieces are exhibited… Most of them are allegorical paintings inspired by ancient or religious subjects. I hope that you will get the same feeling and enjoy your visit in this unique and most charming house-museum! The entrance ticket costs 6€.